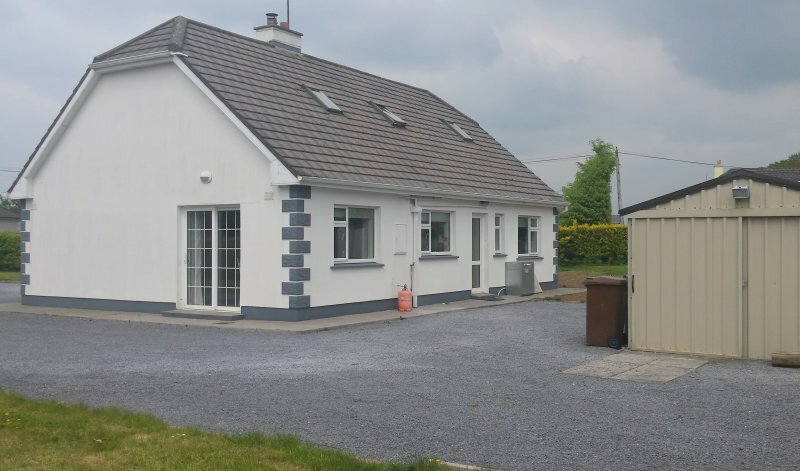 Cloonboo Lodge is a fully refurbished detached dormer bungalow just a 10 minute drive from Galway city. 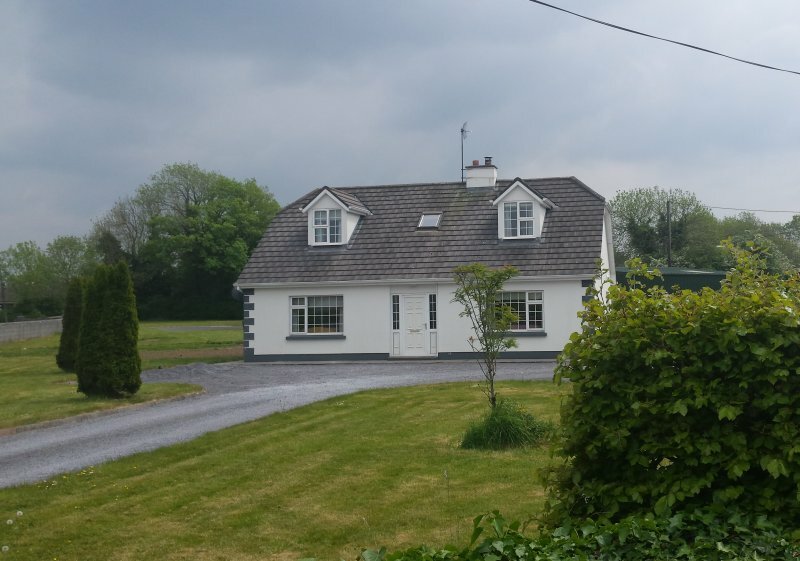 The house has four bedrooms and can sleep up to 11 people. 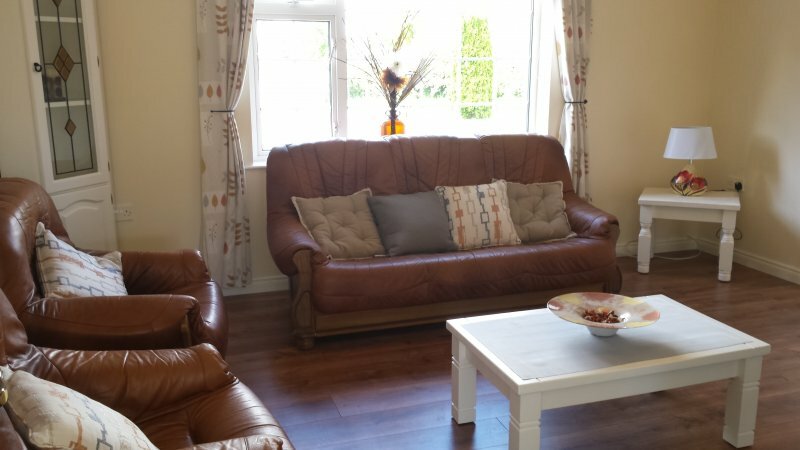 The living room is warm and cosy and has comfortable lounge seating for 6-7 people however you could bring in additional chairs from the dining room alongside it if required. 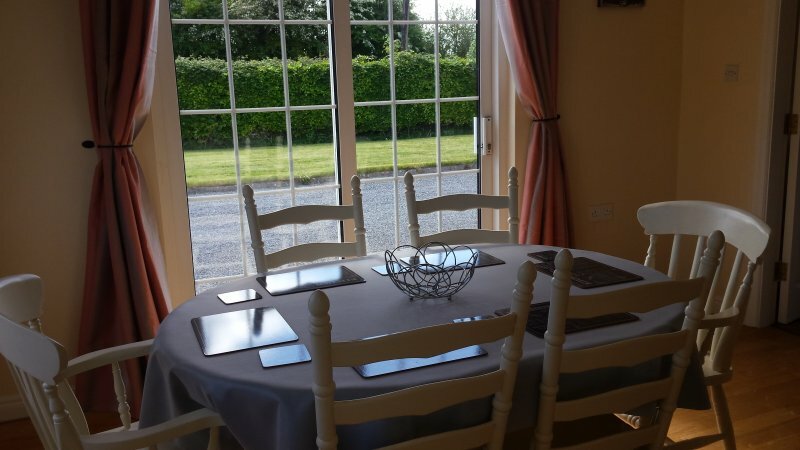 There is a 42” TV with free to air channels, a DVD player and a wood burning stove which gives off incredible heat and a lovely welcoming feel to the room. 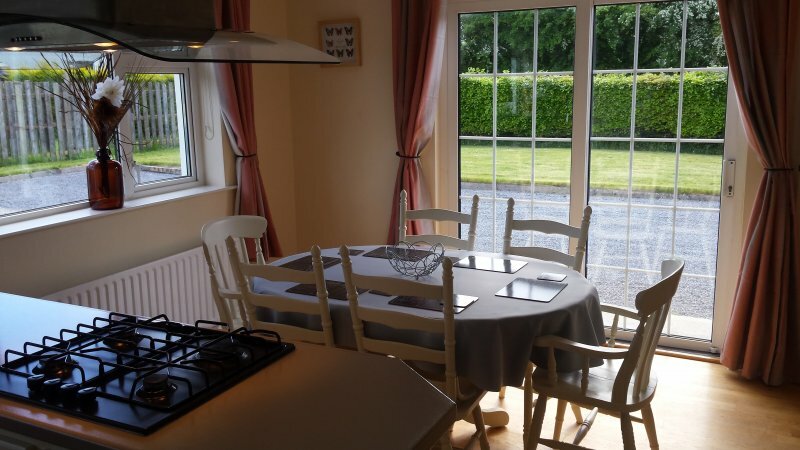 The dining room and kitchen are one long room. It is important to note that although this house can comfortably sleep up to 11 people, the dining table can seat only 6 people at a time. 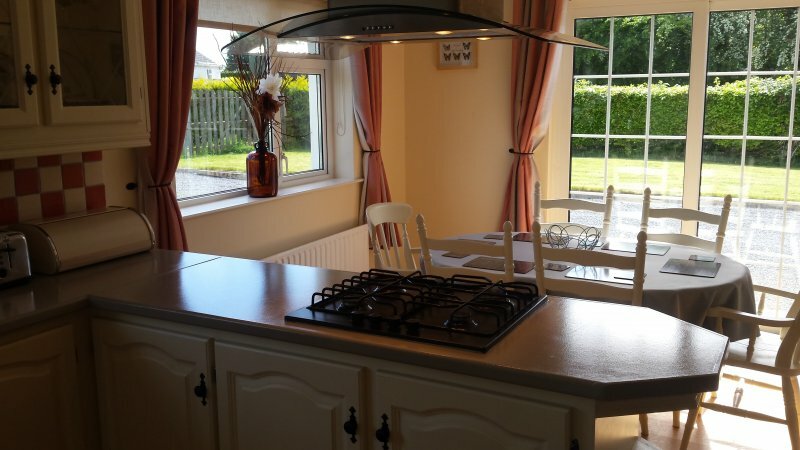 The kitchen is very well equipped with everything you will need during your stay. There is a utility area off the kitchen along with a guest toilet. A door leads from here out to the back yard. We are delighted to offer free Wifi to all our guests staying at Cloonboo Lodge. 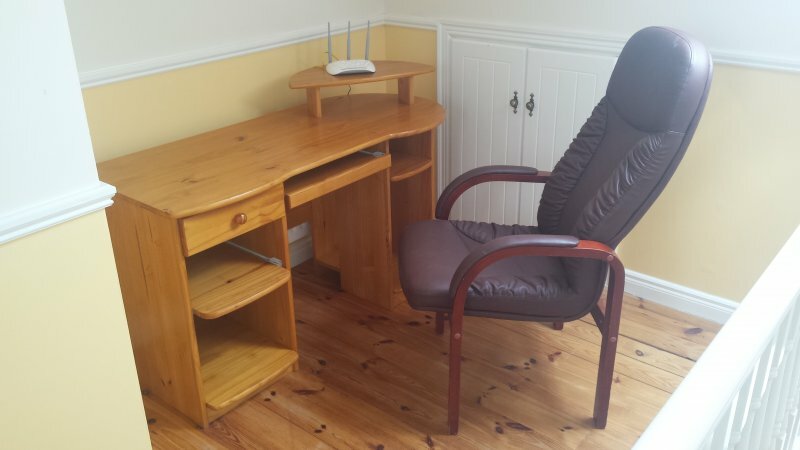 For those looking for a little bit of peace, there is an office area upstairs with direct internet connection. 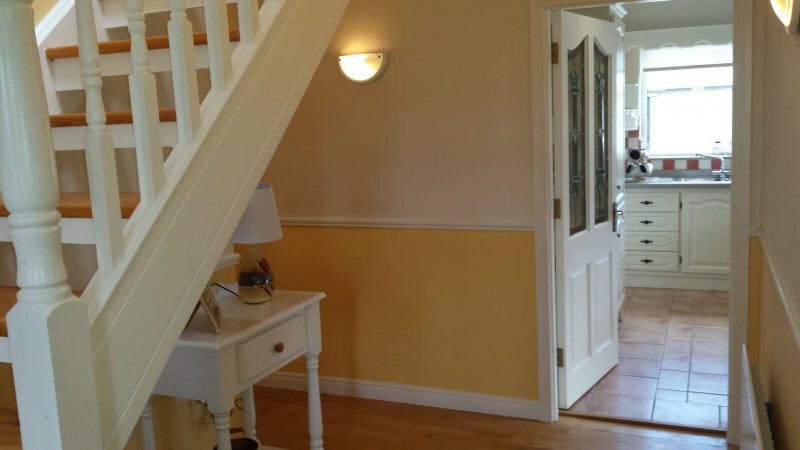 Bedroom 1 – located downstairs and can sleep 3 people in a double and a single bed. It has an ensuite shower, toilet and wash hand basin. 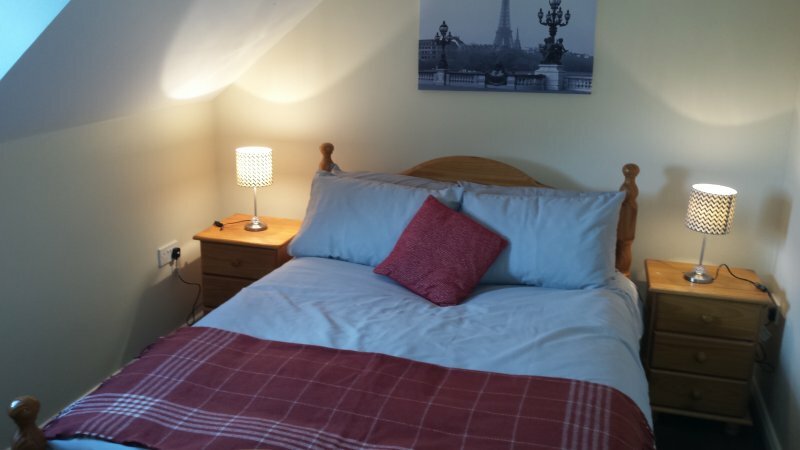 Bedroom 2 – located downstairs and can sleep 2 people in a double bed. 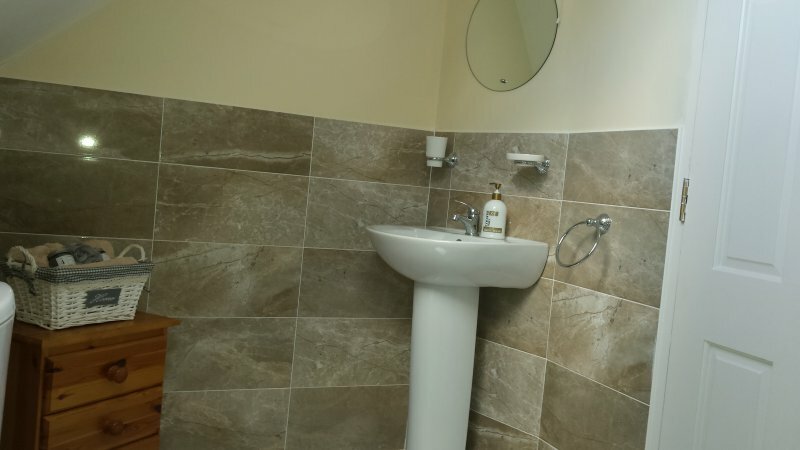 It has a large ensuite with shower and a slightly raised toilet which would be suitable for more elderly guests or those with mobility challenges. Bedroom 3 – located upstairs. 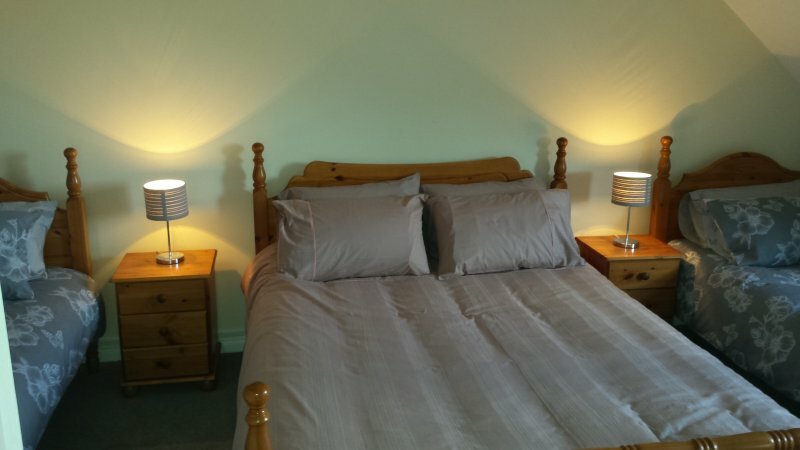 This room can sleep 4 people in a double bed and two single beds. Again, it has an ensuite shower, toilet and wash hand basin. Bedroom 4 – located upstairs. 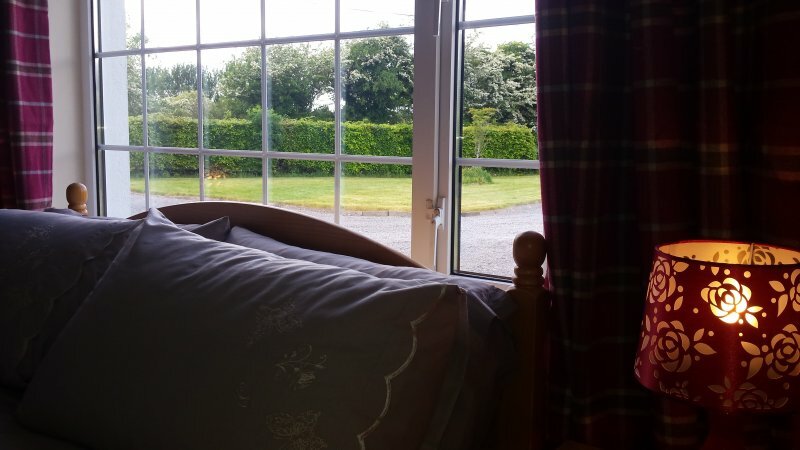 This bedroom has a double bed in it to sleep 2 people. It has a private bathroom alongside it with a shower. All 4 showers are pumped showers and have ample constant hot water supplied by a newly fitted air to water heat pump system. Please note that there is no bath in this property. 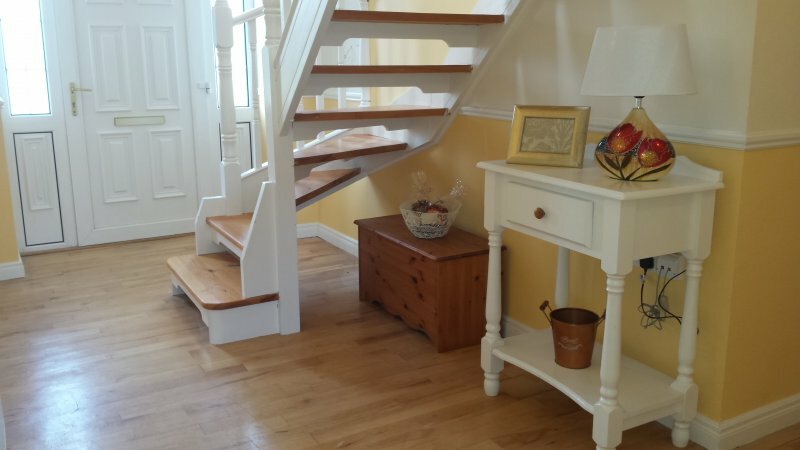 On arrival you will be asked for a security deposit of €250 cash which will be returned to you on departure providing there are no breakages or damages to the property during your stay. 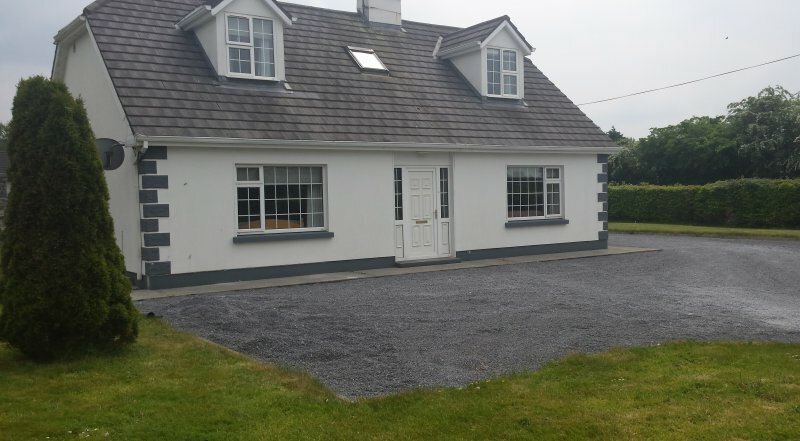 This house is located alongside the home of the owners so they are available and on hand at all times should you require any assistance or perhaps ideas as to where to visit in the area. 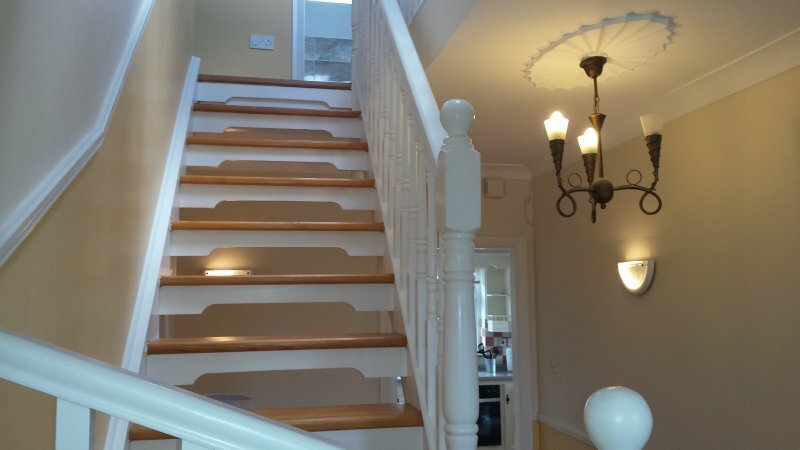 This house is designed primarily for families to stay in and young adult groups will not be permitted. We reserve the right to cancel your reservation should we feel that the booking is not an appropriate fit for the property. Cloonboo Lodge is located in a ½ acre site and has ample parking for a number of cars. There is also a shed to the rear of the house ideal for storing bkies, fishing equipment, boat engines or other equipment you may have with you. Regretfully, pets are not allowed at this property. You can walk to the local shops, petrol station and pubs serving food and drink in 5 minutes (or 2 minutes by car). Dublin Airport is 2 hours 20 min drive away. It was perfect for 7 of us. Having 4 1/2 baths was a treat!